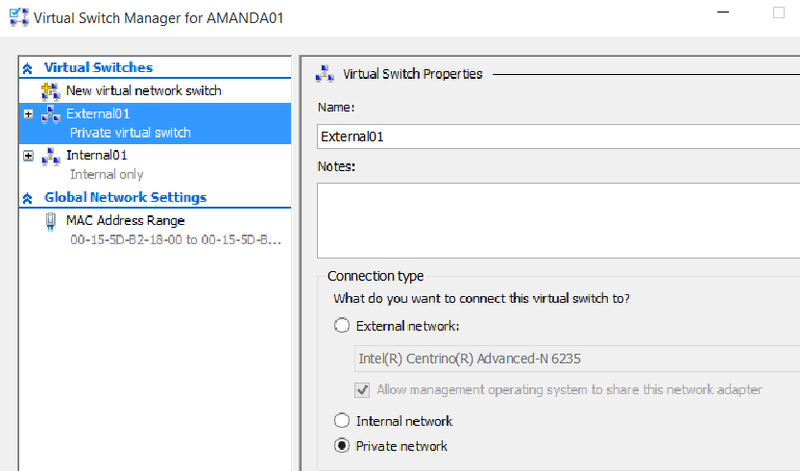 Hyper-V Switch from Internal to External While VMs Running… No Internets for you! It’s not every day that you get taught new admin concepts using PowerShell by Jeffrey Snover himself (the guy who invented PowerShell), but I had the privilege of taking part in the TechDays NL 2015 pre-conference workshop on OneGet PowerShell Package Manager and Desired State Configuration (DSC) that Jeff Wouters (PowerShell MVP) organized, and then led along with Mr. Snover. Both Jeffs patiently answered our (sometimes) silly questions and worked hard to make sure we got as much as possible out of the day. … and it appeared to work, but not really: it took out my Internet connection completely. Annoyingly enough, the WiFi claimed that it was connected, along with being bridged. 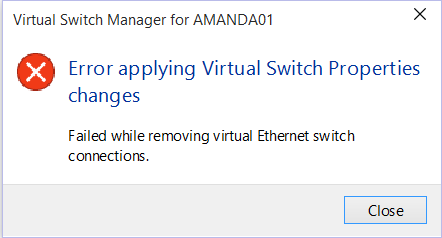 Hyper-V added a nifty new generic Ethernet adapter that was supposed to act as a bridge between the virtual switch and my real WiFi. Note the missing vEthernet (External01) Hyper-V Virtual Ethernet Adapter. Another hint was that Get-NetIPAddress only showed the loopback addresses for both IPv4 and IPv6, and nothing else. 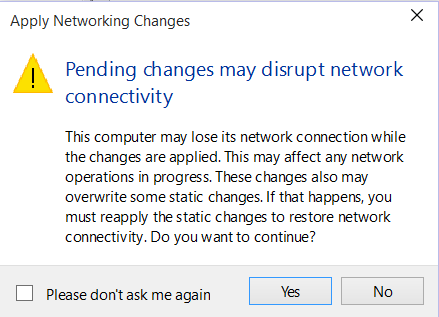 Disabling and re-enabling the WiFi connection also did no good; the WiFi was always connected, but traffic was not being passed from applications. 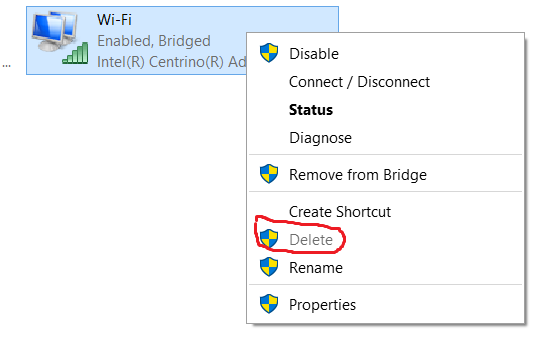 Deleting and reinstalling the WiFi adapter was also not an option. Note the grey text for the “Delete” option. However, I was able to delete the generic Ethernet adapter. As soon as that finished, Get-NetIPAddress showed addresses for the WiFi adapter and the virtual switch I hadn’t meddled with. Voila, I had Internet again! The virtual switch in question was left as a Private Network, and was easily switched back to being Internal. After that, IP addresses (IPv4 and IPv6) showed up for it, too, on Get-NetIPAddress. The goofy-looking font is a special feature of the 10122 build of Windows 10 for Arial font in various contexts, and can be remedied by some simple method I have completely forgotten. Wish I’d thought of trying this during the workshop, because package management is kind of hard to work with when you don’t have any way to get to a repository, but here it is for you, dear reader. And for Mr. Snover and Mr. Wouters the next time they teach OneGet… er, PowerShell Package Manager.